It’s hard to believe Summer is practically out, although the weather still lingers. But school has started and with that comes the Fall hustle & bustle. We’ve been preparing for a jam-packed September and now it is finally upon us. We hope to see many of you at our events listed below. Keep an eye out for a few more additions by next week as well. Charlie will be a presenter in the 2010 Mediation Business Summit webinar. He’ll talk about how the sales process is a powerful opportunity to create trust and how behaving in the a trustworthy manner during the sales process both creates customer trust and enhances the odds of getting the sale. 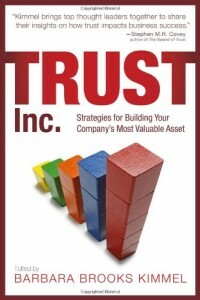 He’ll outline the principles of Trust-based Selling(r) and discuss how to respond to the Six Toughest Sales Questions. Cost: $100 to attend entire event 8 speakers, via telephone. For more information and to register, visit http://mediationbusinesssummit.com/register/. Change of plan! Andrea Howe, Director of Learning Programs, will be participating in Linkage Inc’s Best of Organizational Development Summit in 2011 rather than 2010. We’ll remind you closer to the date! Interested in learning how to increase trust anywhere, with anyone, anytime? 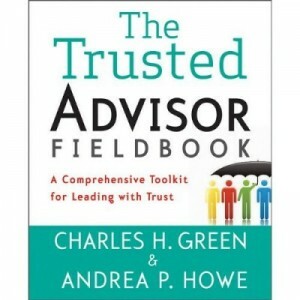 Register now for Trusted Advisor Associates’ signature program, Being a Trusted Advisor: Walking the Talk, co-led by Andrea Howe and Charles H. Green. All early registration seats are filled;register now before the program sells out! Sometimes we think ourselves into tough places; it's hard to think your own way back out.